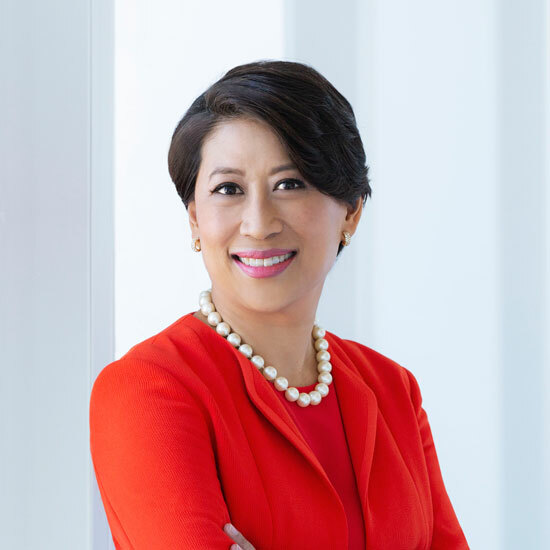 New York – October 1, 2018 – 100 Women in Finance (“100WF”) today announces that Yie-Hsin Hung, Chief Executive Officer of New York Life Investment Management LLC (NYLIM), will be presented the 100 Women in Finance 2018 North American Industry Leadership Award at the organization’s 17th annual New York Gala on November 7, 2018. Each year, 100WF identifies a woman whose professional talent, business ethics, and passion for investing help define and advance the asset management industry’s standards of excellence. Yie-Hsin Hung is Chief Executive Officer of New York Life Investment Management LLC, a global multi-boutique third party asset management business of New York Life with more than $325 billion in assets under management. Over her tenure, Ms. Hung broadened NYLIM’s fixed income, equity, ETF and alternative capabilities, leading to a three-fold increase in third-party assets under management since 2010. She also led NYLIM’s expansion into overseas markets in Europe, Asia and Australia through organic growth and acquisition. Ms. Hung serves on the Executive Management Committee of New York Life, the largest mutual insurance company in the United States. In addition, Ms. Hung is on the Board of Governors of the Investment Company Institute, the Advisory Council for the Northwestern University McCormick School of Engineering and the non-profit boards of Next for Autism and the New England Center for Children. She was named one of the 25 Most Powerful Women in Finance in 2017 and 2018 by American Banker. Prior to joining NYLIM in 2010, Ms. Hung served in senior roles at Bridgewater Associates and Morgan Stanley Investment Management. Ms. Hung has a BS in mechanical engineering from Northwestern University and an MBA from Harvard University. 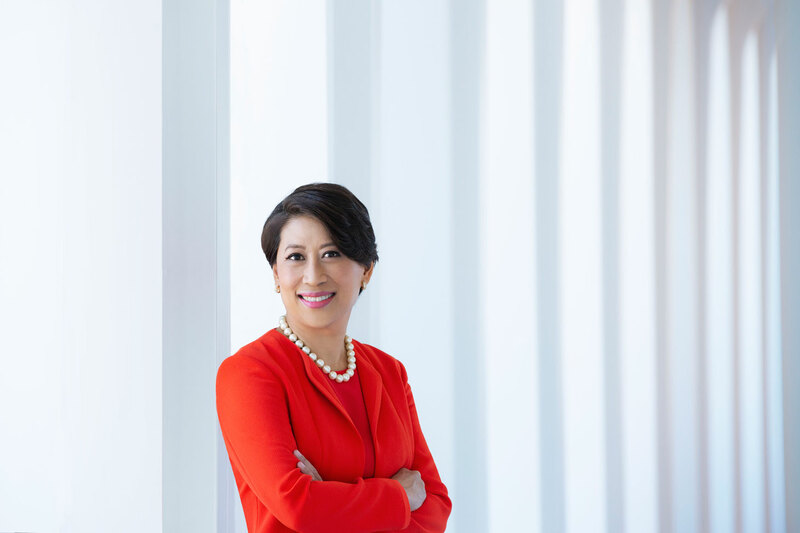 “Yie-Hsin Hung is recognized as a champion of alternative investments and has brought her experience from growing the hedge fund, hedge fund of funds and private equity businesses at Morgan Stanley to expanding NYLIM’s alternatives capabilities to include a broad range of private equity, mezzanine, senior secured lending, real asset and hedged strategies. 100 Women in Finance is thrilled to recognize Yie-Hsin’s accomplishments as an investment management leader and advocate for increased allocations to alternative investments by investors on behalf of the industry,” said Lauren Malafronte, Managing Director, Prime Services Scotiabank, and 100WF Global Chair of the Board of Directors. To view past 100WF Industry Leadership Award Honorees, please click here. 100WF recently launched our Female Fund Manager visibility campaign, featuring female fund managers and owners. This initiative includes a dynamic directory of women who manage and own funds, across diverse asset classes. For more information, please visit www.100women.org. To register to participate, please email fundmanager@100women.org. 100 Women in Finance believes empowering women in Finance also means supporting women and families everywhere. The organization’s galas and fundraising events benefit organizations dedicated to improving lives through Mentoring, Women’s & Family Health, and Education. Every year 100WF’s Board of Directors selects a charitable organization for its philanthropic initiatives on a rotating basis. This year’s global theme is Education and the net proceeds from the New York Gala will benefit Horizons National, which provides high-quality academic enrichment programs to children in need, from Pre-K through high school. Its national network of community-centered programs serves more than 5,000 children at 50 affiliate sites in 18 states. To date, 100WF has raised over $40 million gross to benefit our philanthropic partners and positively impacted the lives of approximately 300,000 children and families.